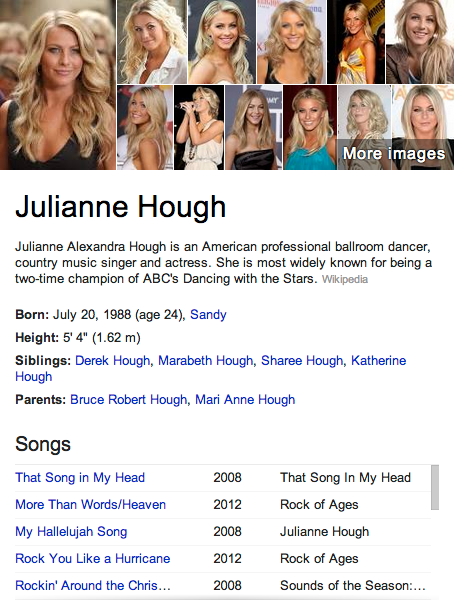 Julianne Hough is a famous dancer and singer. She got her start on Dancing With the Stars, then went on to release a CD as a singer. Now she’s also acting in Hollywood and was most recently on the movie Footloose and Rock of Ages.